The returning menu item features bone-in chicken wingettes and drumettes that are marinated for 12 hours in "an exotic blend of peppers" (including ghost peppers) and then are battered, breaded, and deep-fried. 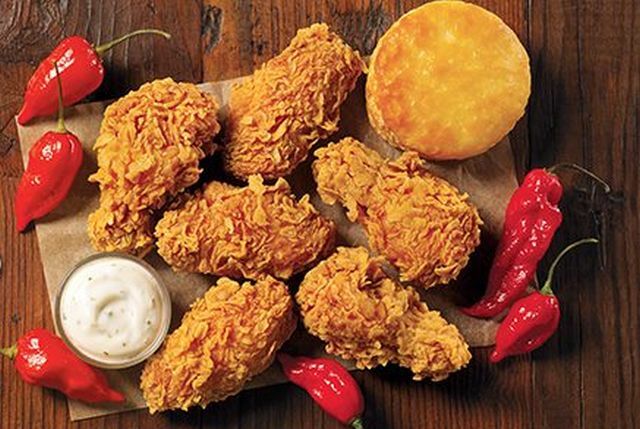 You can find them for in a combo that includes six wings, a biscuit, and a choice of dipping sauce for $4.99. They're also available in 12-, 24-, and 36-count orders. You can find my review of the wings here.